Mrs. Eisenhauer, New York City was chosen as the location for the photos for the new catalogue. The photo shooting in the Big Apple was probably a highlight? J. E.: Yes, New York as the shooting location was incredibly exciting, multifaceted and stimulating. We visited many different districts for the catalogue and gained many impressions. From the rooftops in Midtown very near the Empire State Building to the industrial district on the banks of the East River under Brooklyn Bridge. And, of course, on Brooklyn Bridge itself which features in the background on the new cover. Sometimes we had to work at two or three different locations on a single day. A mobile home then became the backstage area for our styling, hair and make-up as well as the production office and canteen. Everything in the smallest of spaces with up to 20 people working on the project on a single production day. So it was everything but a luxury holiday, but it was fun and the atmosphere was creative. 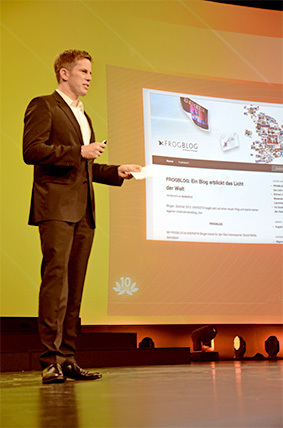 A glance at the contents reveals that ENERGETIX has – although the sequence has changed slightly – remained true its categories. J. E.: That’s right, every category represents its own direction, from fashionable to simple pieces of jewellery and from elegant to sporty designs. Well, let’s talk about the most important new aspects in the new individual categories! Symbolic is pleasantly different. Where did the inspiration for these imaginative pieces of jewellery come from? J. E.: The Symbolic category was inspired by many different things, including nature and technology and even entirely abstract and modern shapes. This new design possesses both abstract and Asian influences, the former even being inspired by a painting by Kandinsky. 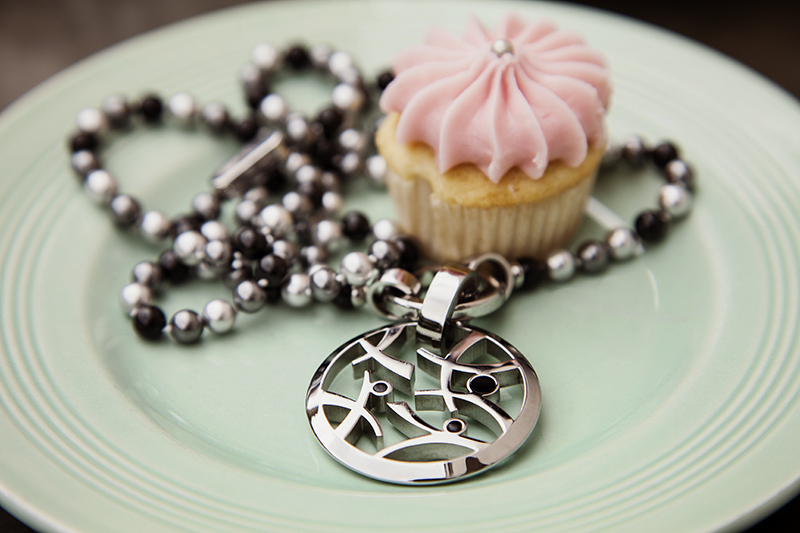 The pendant may be worn with a chain of pearls from the ENERGETIX range of chains or with a clip loop or simply with a string. There are matching ear studs and ring tops and a bracelet in the same pearl colours. How did you get the idea to shape a piece of jewellery in the shape of a hummingbird? 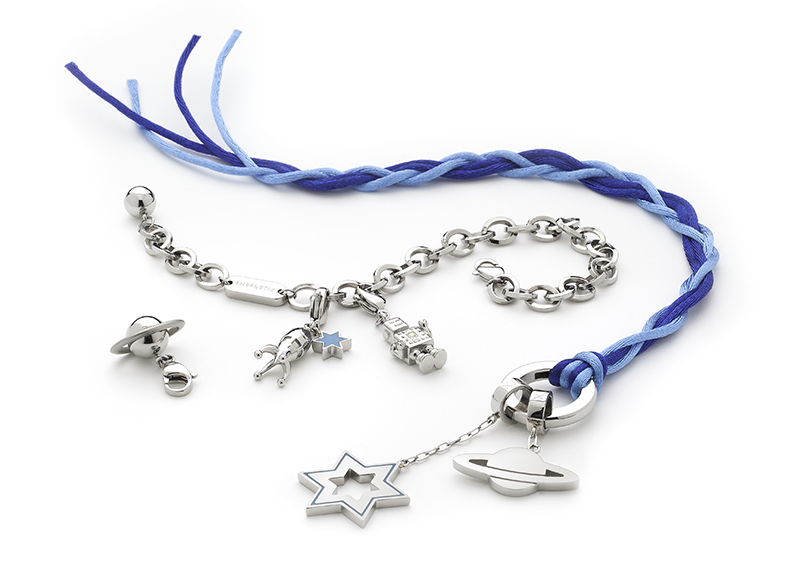 J. E.: We are always being asked to realize animal motifs, which is why they were essential to this collection. The final result was achieved through many intermediate stages. The end product is a cooperation with the designer, Robin Ashby, who created the virtual hummingbird contours for us in a CAD programme. 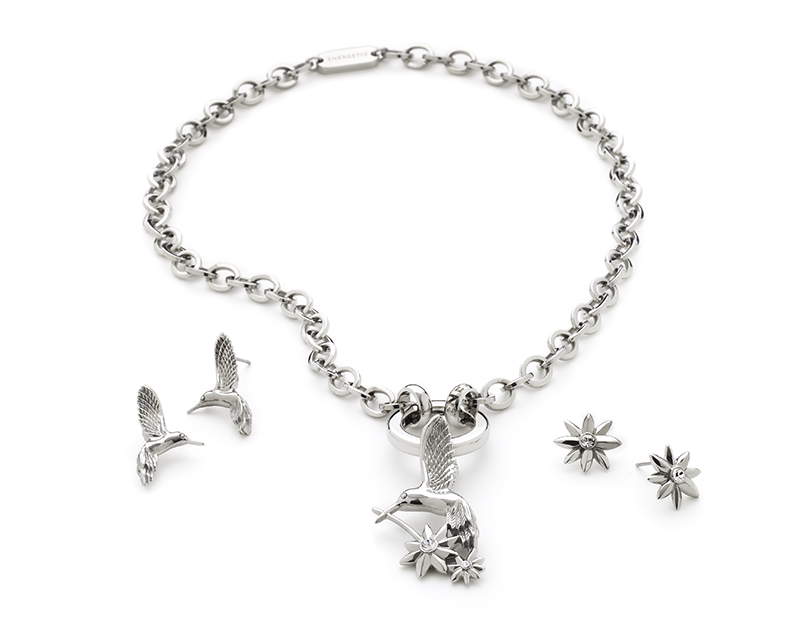 Two small matching hummingbird ear studs and matching ear studs with the flowers that are also found on the hummingbird’s branch were created to accompany this piece. Everything is represented from nature to technology … ENERGETIX is so to speak conquering space? J. E.: Well, we did use the working title, “Out of Space”, here. The motifs are very witty and cute, small robots, rockets and planets. Realized here as little charms. 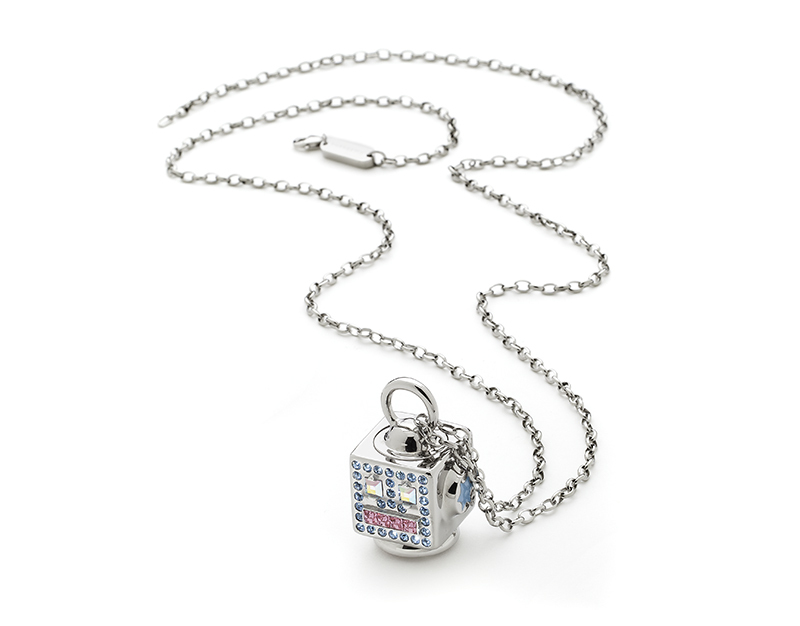 As a highlight, we added a large robot that possesses a turning loop so that it may be combined in many ways with clip loops and chains: lavishly worked with Swarovski crystals and cold enamel. Thank you, Mrs. Eisenhauer, until the next and second part. 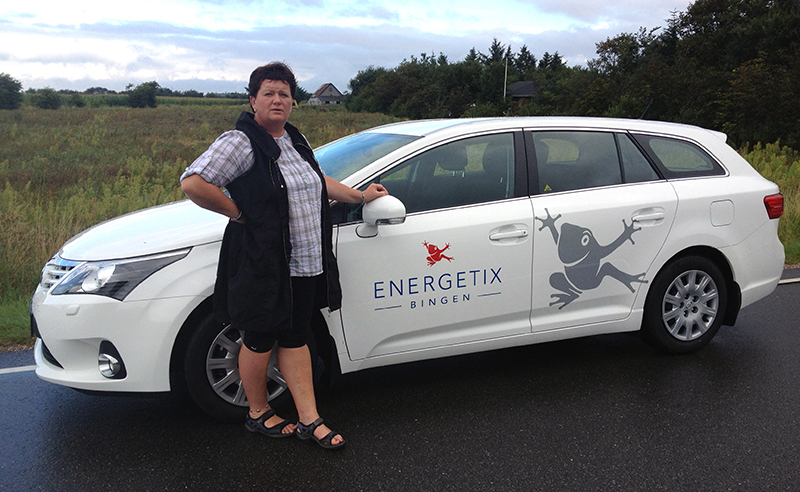 The 19 September 2012 was the long-awaited day when not only top distributors, Inge Møller-Nielsen, Renée Piguet, Ciselle Elgers & Rick Wessels, Carmen & Ernst Maas, Pia & Fred Petersen and Ruth & Klaus Kristensen, received their new cars from the ENERGETIXDRIVE programme but also Anja Schuch, who is a member of the STARCLUB. 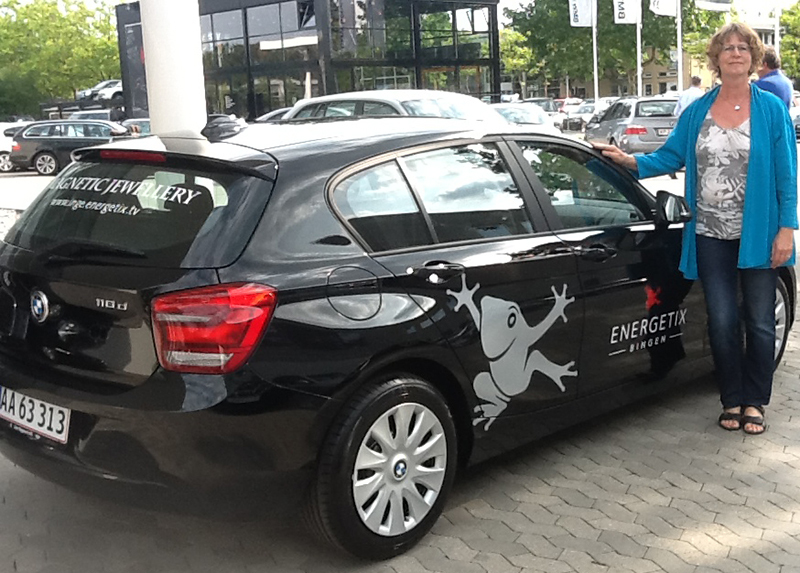 The brand-new dream car was handed over to Anja Schuch, International Marketing Director, in Bingen by Dr K.-P. Thiel, Member of the Executive Board and COO. 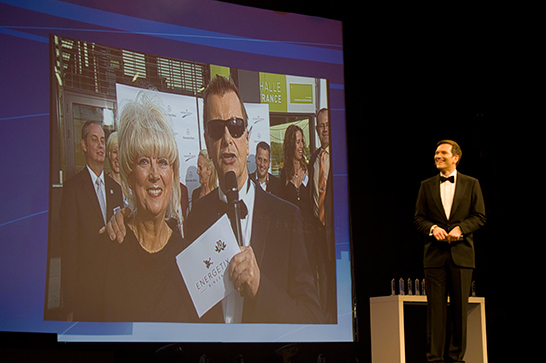 Dr Thiel handing over the ENERGETIXDRIVE cars at the Catalogue Launch during a live transmission into the Rheingoldhalle in Mainz. 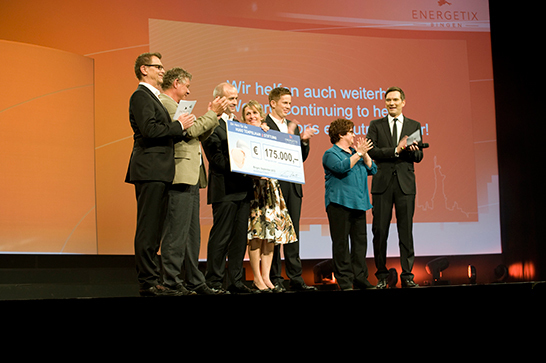 The happy recipients: Ulrike Lemmel, Sabine Dreier-Schmülling & Ralf Schmülling, Sabine & Jörg Breda, Alexandra & Peter Pape-Victor, Kerstin Zschäckel, Marion & Sven Erichsen, Kornelia & Othmar Rombach, Britta Hartmann and Diana Römer. 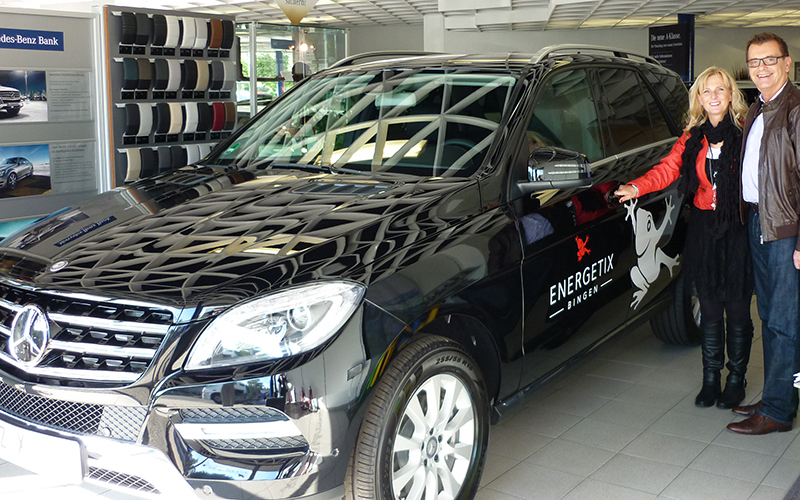 The ENERGETIXDRIVE partner programme is available to all distributors: ENERGETIX Bingen subsidises the leasing payments for the cars by up to 100%, in addition to all the benefits of the marketing plan. Distributors should not ignore this opportunity! ENERGETIX distributors can find more information about the ENERGETIXDRIVE programme in the download section of the management system. 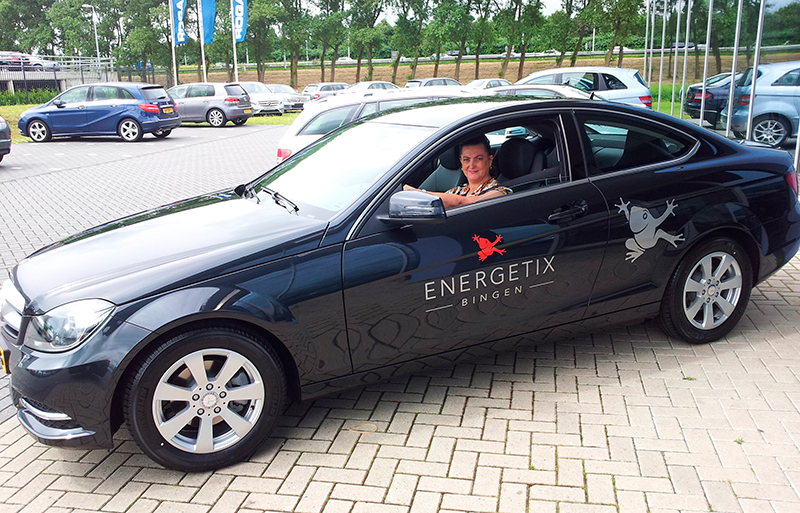 We wish all distributors lots of fun with their ENERGETIXDRIVE dream cars! The Catalogue Launch weekend from 31 August to 2 September 2012 was really something. Three days full of action, attraction, fun and entertainment. 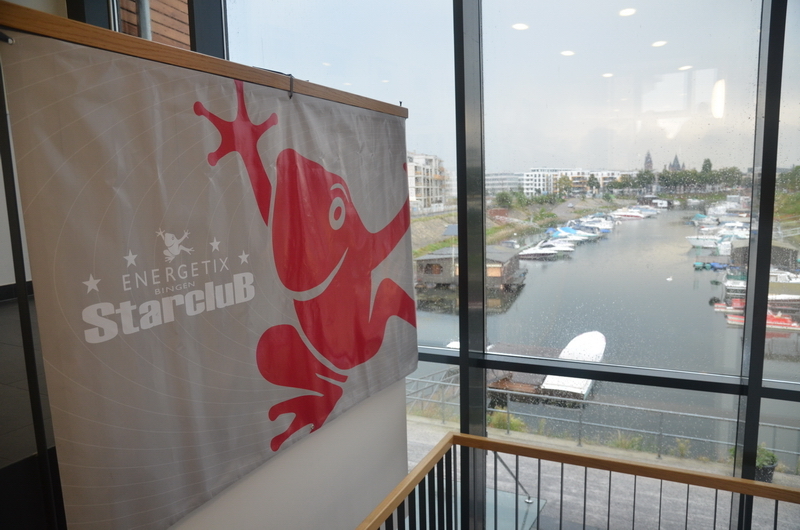 Friday was entirely dedicated to the stars: the STARCLUB met for the one-to-one interview training headed by Klaus Pertl and for all participants to swap experiences. On Saturday, Michael Rossié, communications and speaking trainer, “coached” the ENERGETIX distributors under the motto, “Become who you are!” This was followed by the excitedly awaited presentation of the new jewellery collection: the stage show was a high-energy mix of information and entertainment. 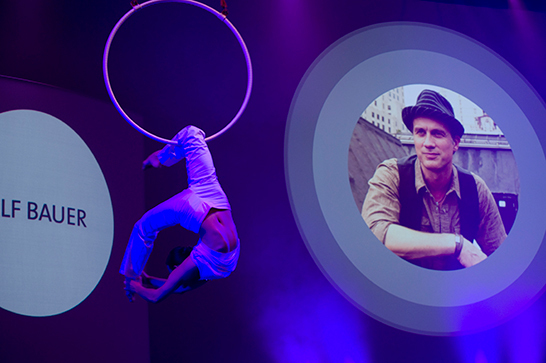 Each category was underlined by aesthetic acrobatic performances, music and impressions from New York – the place where the photos were shot. 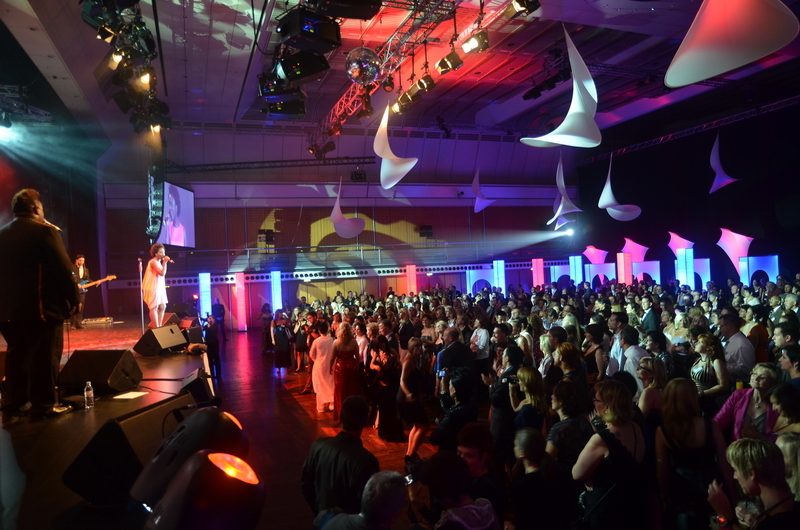 A special surprise awaited distributors at the presentation of the new sportEX silicon bracelets because none other than swimming legend, Franziska van Almsick, took the stage. The likeable sports personality is the new face for the sporty collection of colourful bracelets with three magnets integrated in a waterproof encasing. The event was crowned by the evening gala, which the guests and ENERGETIX employees attended in appropriate formal dress. In line with this year’s “EX in the City” motto, the culinary range was also themed with New York in mind: the live “Little Italy”, “China Town” and “Manhattan” cooking stations served Italian, Asian and “typically” US-American specialities. A lavish dessert buffet and cocktail bars perfectly rounded off the evening’s culinary presentation. The launch weekend was concluded with the boat trip on the Sunday. 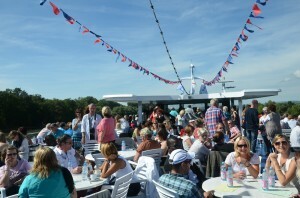 The leisurely excursion on the Rhine was primarily planned as a generally relaxing event. The launch weekend was full of entertaining and emotional highlights. The highlights were really memorable! A small but fine selection of launch photos has already been presented here on the FROGBLOG (where they are still available for viewing). But the big photo album may now also be viewed on Flickr! 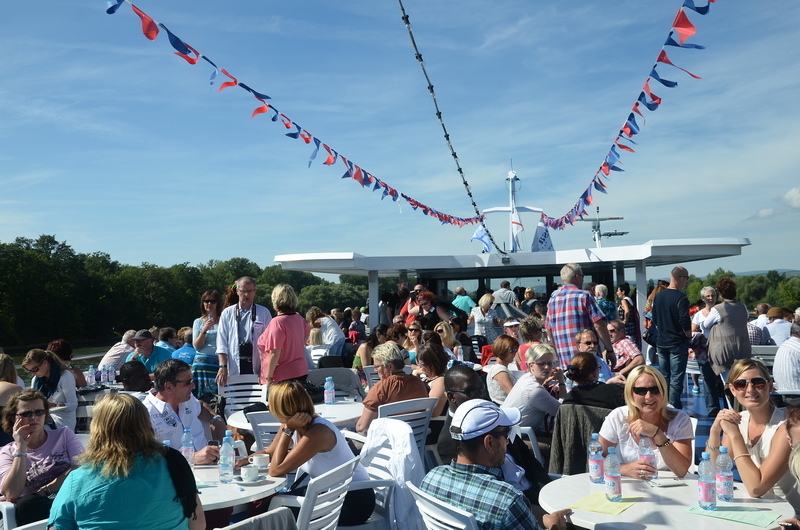 Besides a large selection of launch day pictures, you’ll also find photos of the STARCLUB meeting on the launch Friday (31 August 2012) and the boat trip on the launch Sunday (2 September 2012). We hope you enjoy the pictures and have lots of fun reliving the weekend! 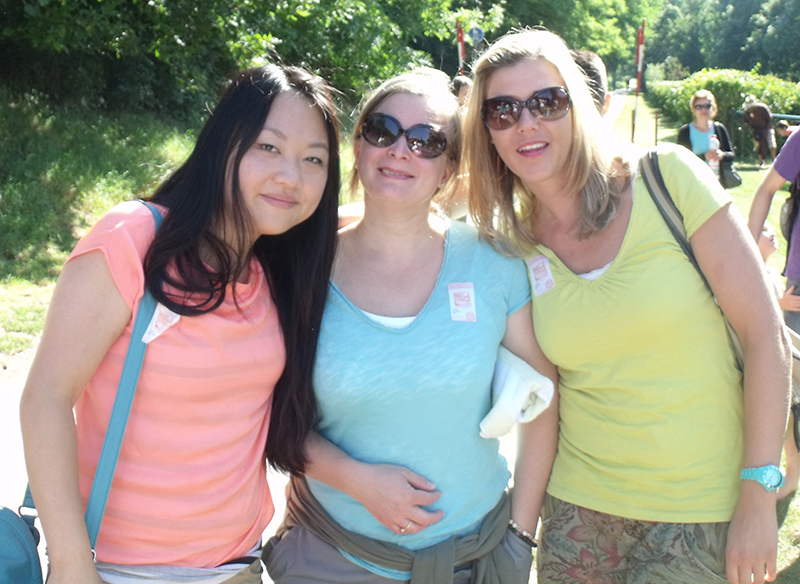 families to the company’s grand summer party 2012. 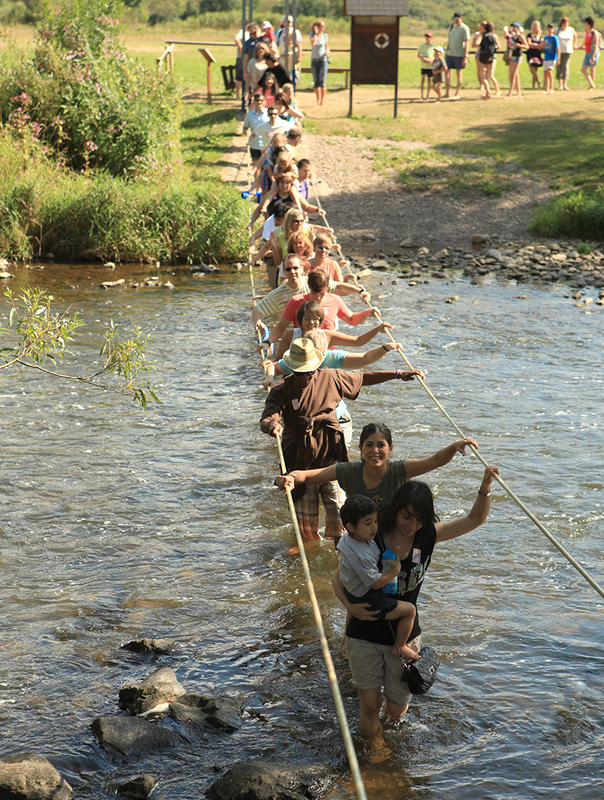 The programme also included a trip to the 3.5 kilometer long adventure bare-foot path in Bad Sobernheim where participants eagerly waded through mud and a “raging” river, walked over bark mulch, sand and gravel, pass a plank bridge and balanced across tree trunks. 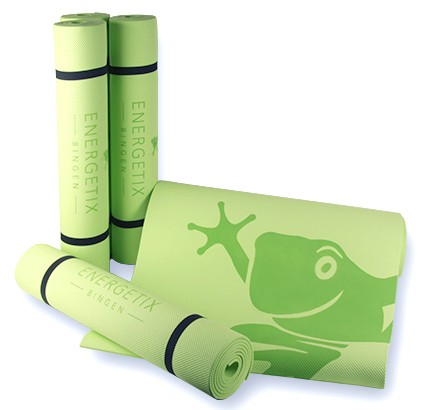 ENERGETIX is well prepared and the qualified distributors may look forward to a sporting event with Ralf Bauer, who will be introducing the participants to the art of yoga. EX in the City… The name says it all: the photos for the ENERGETIX catalogue just published were shot this year in the pulsating US metropolis of New York City. The atmospheric „Making of” film, which reveals all the complexities of a professional photo shoot in Manhattan in a short clip, provides a fascinating glance behind the scenes. Impressions of New York, the models – Lucinda, Carol, Alessia, Juan Antonio, Jonathan, Hali and Ralf Bauer, members of ENERGETIX’s creative team Janine Eisenhauer (Jewellery Designer) and Jörg Olejnik (Art Director), the stylists, hair-and-make-up artists, the photographer Heiko Prigge with his crew and Roland Förster, ENERGETIX Sole Shareholder and CEO. Are you ready to take a short trip to New York? Then just click on the „Making of” film! 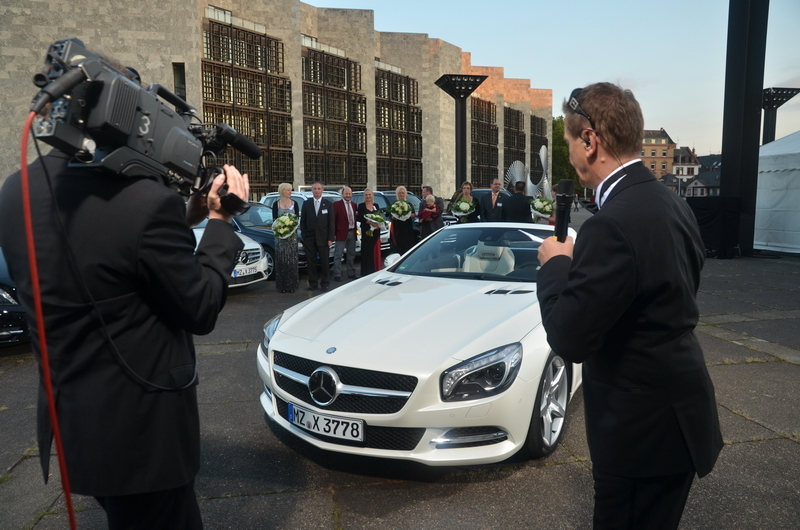 This year’s catalogue launch in Mainz’s Rheingoldhalle certainly sets new standards. 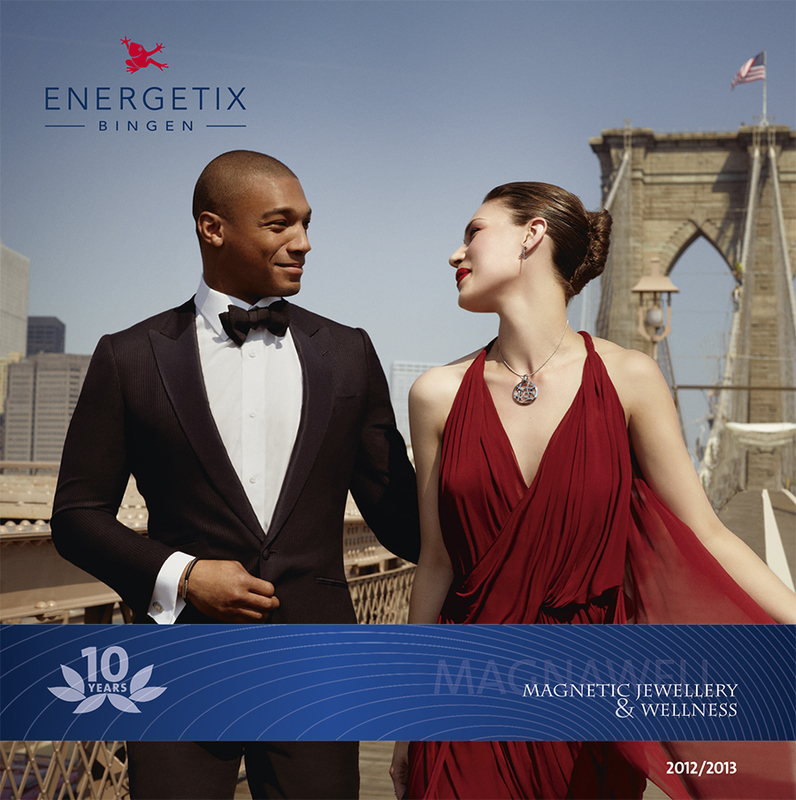 The new catalogue for the 2012/2013 season has been up and running since 1 September 2012 so you can now order the eagerly anticipated new ENERGETIX jewellery. Look forward to a variety of new creations such as the silicone sportEX bracelets that swimming legend Franziska van Almsick presented on stage at the Catalogue Launch. The bracelets are available in different colours. 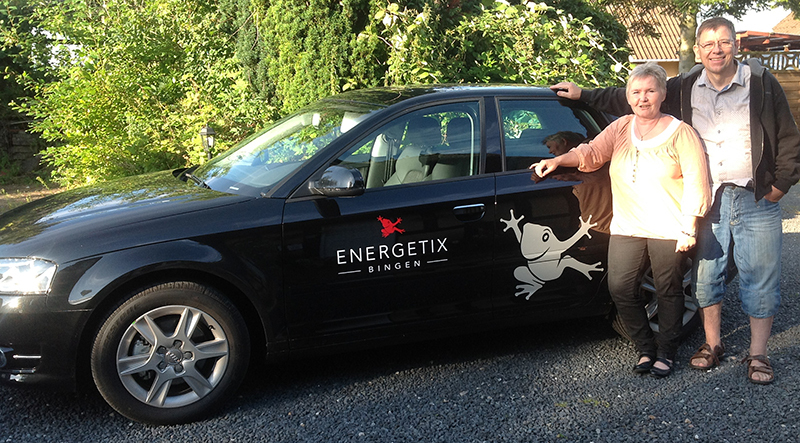 Also take a look at our website at www.energetix.tv, where you can browse the current catalogue on line. The innovative ENERGETIX app for iPhone and iPad is now available for you to download from the iTunes Store! This free tool is divided into an area for distributors and one for customers and offers you new sales and presentation possibilities. You can now have everything at your fingertips whenever you need it, even if you’re on the move. 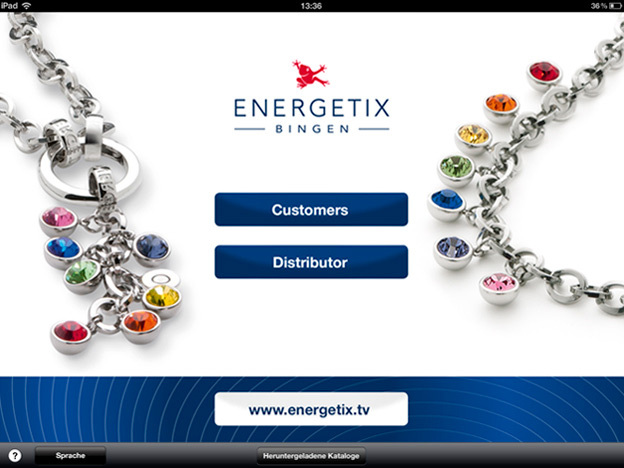 The multi-purpose five-language ENERGETIX app allows you to view and download catalogues, flyers, brochures, videos, etc. 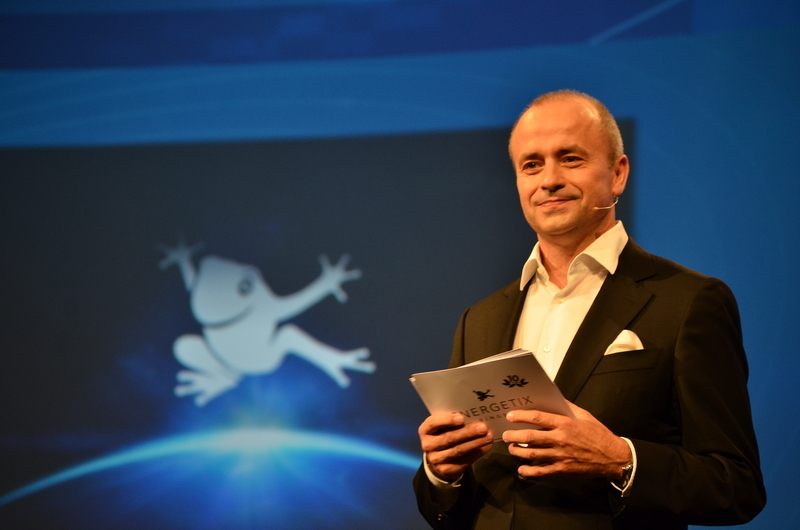 and also gives you direct access to FROGBLOG. And the practical search functions make it easy to search for items and keywords in the digital catalogues. Incidentally, the ENERGETIX app for Android will be available shortly. We are looking forward to your ratings on iTunes. 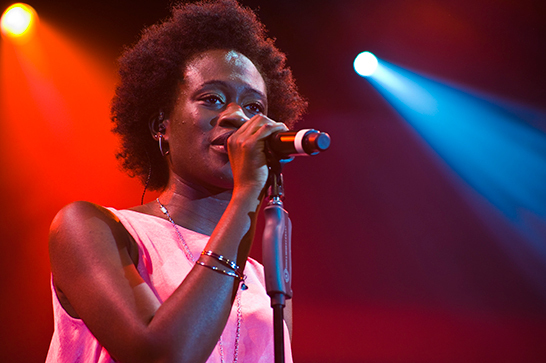 Were you there at the Launch on 1 September? If so, you will have already seen the new ENERGETIX company film. For those of you who haven’t yet seen it, here is the premiere! 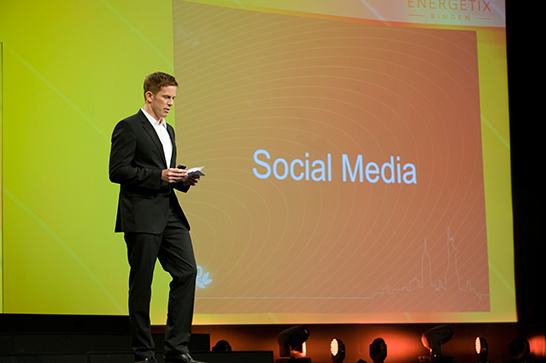 Corporate communications video: this 10-minute film gives important information about ENERGETIX. 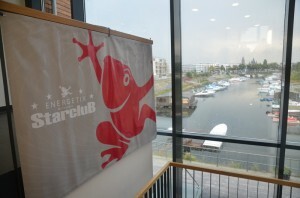 It captures the company atmosphere and is full of facts and impressions from the headquarters in Bingen am Rhein. 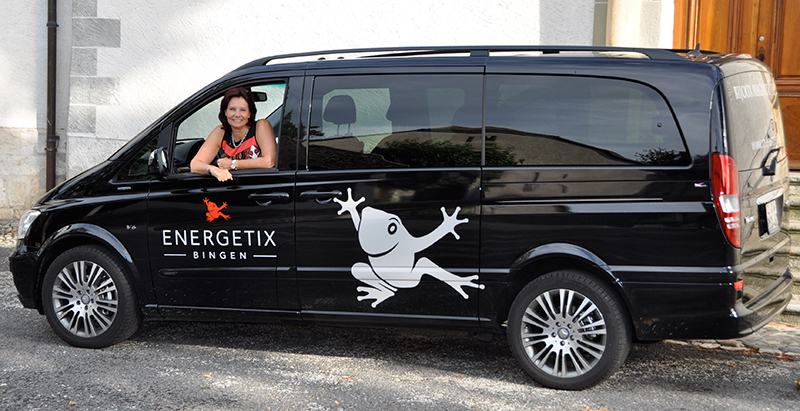 The film (available in German, English and French) provides you with a new medium with which to impress potential ENERGETIX Bingen distributors. Try it! We hope you enjoy the new company film.